HH Radco aka Radco D’Houtveld is proudly offered to breeders through Hyperion Stud. This Elite BWP stallion is a superb example of his pedigree by demonstrating power, scope and aptitude. 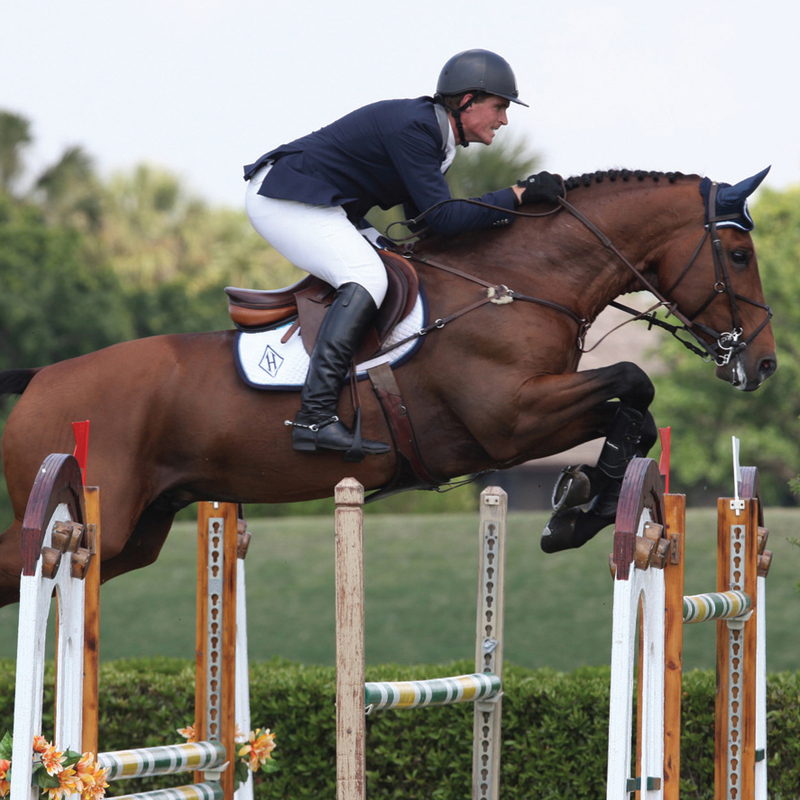 HH Radco stormed the show jumping scene in 2010 under French superstar, Kevin Staut by showing himself as a top competitor in the 1.50m level. Radco then went on to Double H Farm under rider Quentin Judge. This duo earned several top placing at the Grand Prix level including a 6th place in the $75,000 Pennfield CSI2* at WEF in 2011. Radco’s Sire, Darco, was voted best sire in the world in 2010 for the fourth year in a row, and he has produced over 3000 foals in his breeding career such as the famous Sapphire who is currently ridden by McLain Ward. His success as a breeding stallion continues today even after his death in 2006. During his show jumping career he made his mark at the Olympics Games, World Equestrian Games and countless World Cups and international events with Ludo Philippaerts. Radco’s Dam, L’atome, desecendes from some of the most famous Holsteiner bloodlines which include the great Landgraf I. This Rhinelander mare is the daughter of the Holsteiner stallion Larome from stamm 1811. This son of Landgraf I who was licensed Rheinland, KWPN, Oldenberg and more is seen in the pedigrees of many top jumping horses today. HH Radco has produced over 200 foals including the 2010 three year old SBS Champion in Europe. He is is an excellent choice for breeders looking to improve a mare’s temperament and scope.